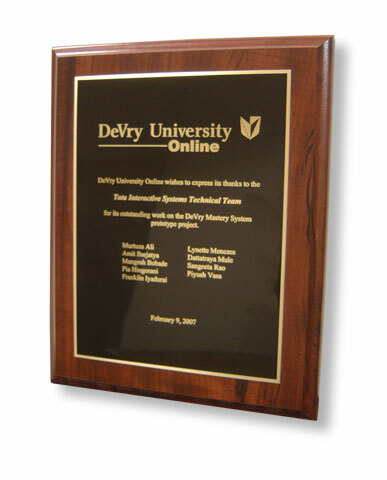 Devry University is one of our key clients and we did a Math Mastery System for them. The project went of really well, and we had a satisfied client on our hands. Then this plaque landed, making us realize that we did not just have a satisfied client; we had a delighted client. Congratulations to the team for making this possible. Thanks, Devry, for the appreciation! It makes us strive even better.